The Nationals will conclude a west coast road trip with a three game series against the San Francisco Giants. This series could be what some have predicted as a postseason matchup, however both teams are currently in 2nd place in their respective divisions. 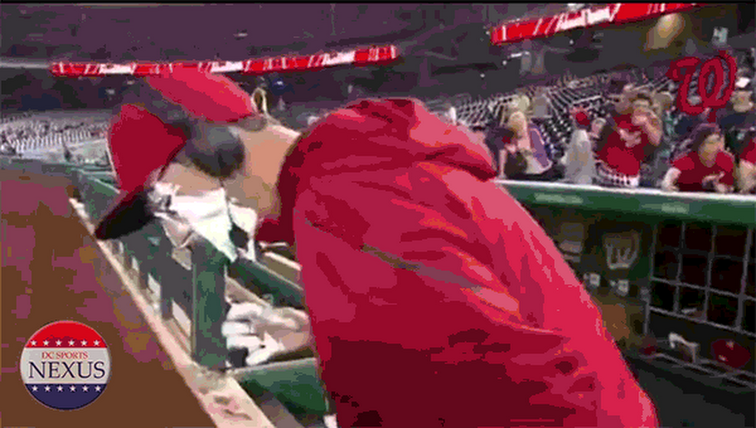 Don’t worry Nats fans, you only have to stay up late two more nights. We can make it. 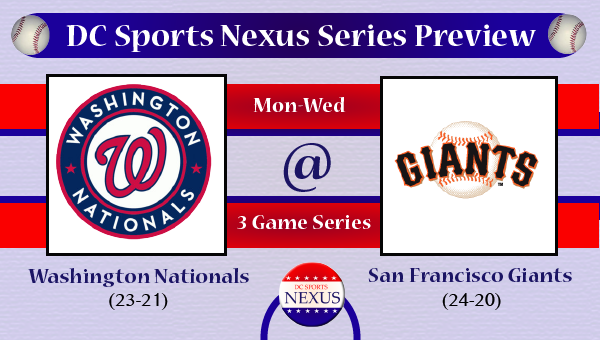 Coming off a series split with the Padres, the Nationals will look to bounce back and avoid a 3 game losing streak. Zach Duke will be the man on the mound Monday night, as Ross Detwiler is dealing with back spasms. Duke has not been what the Nationals have hoped he would be, but he will get a chance to prove himself against the powerhouse lineup that San Francisco has. Meanwhile, the other two pitching matchups are must-watch baseball for anyone that is a fan of baseball. With these two teams, it has been the tale of two offenses. The batting average and strikeout numbers are polar opposites between these two teams, along with other important stats. To add insult to injury, the Nationals are going up against what is possibly the best pitching staff in the league, so it does not look like their offensive stats will improve these next few days. You’d expect the Nationals to have a much worse record than what they do have, based on the injury problems and stat comparisons. The best teams are able to win when they don’t have their best assets, and this is what the Nationals are doing. They have been finding ways to win with an unstable lineup and underperforming players, and they are only 2.5 games behind the Braves. Just imagine how fun it’ll be to watch this team when they are fully healthy and are playing to their highest potential. Ross Detwiler is missing his start Monday night, and if necessary, will also be skipped in the rotation when his turn comes around again. This will keep the rest of the rotation at normal rest, and give Ross an extra few days to recover. Jayson Werth’s stint on the DL is coming to a close, and he hopes to return to the team on Friday, when the Nats return from their road trip. In case you forgot, the Nationals are playing the San Francisco Giants. If you’ve been a Nationals fan for a while, then you should know that nothing is ever certain with this ball club. So when the song says “I lost my head in San Francisco,” it could mean one of two things. Either this is where the Nationals get swept and a state of total panic erupts from NatsTown, or this is where the Nationals offense gets going and they roll into another 5 game win streak. Ok, maybe a panda isn’t a feared creature, but you get my point. The Giants lineup is scary, with Pablo Sandoval, Buster Posey, and Marco Scutaro leading the way. If Zach Duke hasn’t managed to have success against worse offenses in non-stress situations, then what makes Davey and the coaches think he will do well against the Giants in a spot start? This does show that Davey has confidence in his players, which will hopefully transfer into Zach Duke having confidence in himself. This could be his only and final opportunity to prove his worth with the Nationals.